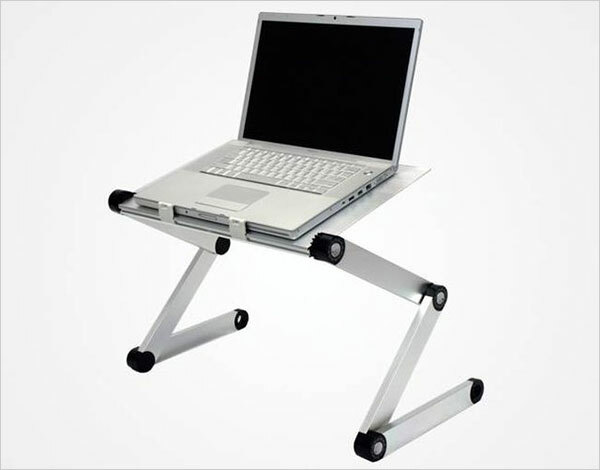 FURINNO adjustable cooler fan notebook laptop table is suitable for the laptops that are up to 17 inches. Now feel “at home” working on the laptop in the most laid-back position you want. The FURINNO Hidup is a transportable & adaptable laptop desk with two built-in USB fans to help reduce overheating of the laptop. USB Army knife charge tool is a must have gadget. Today in the era of technology and advancement phones & electronic devices are now become the fundamentals of life, get this utility device you can freely use wherever you’re! This little charger accompanies multi-use micro USB phone plug, mini USB plug, and iPhone plug. 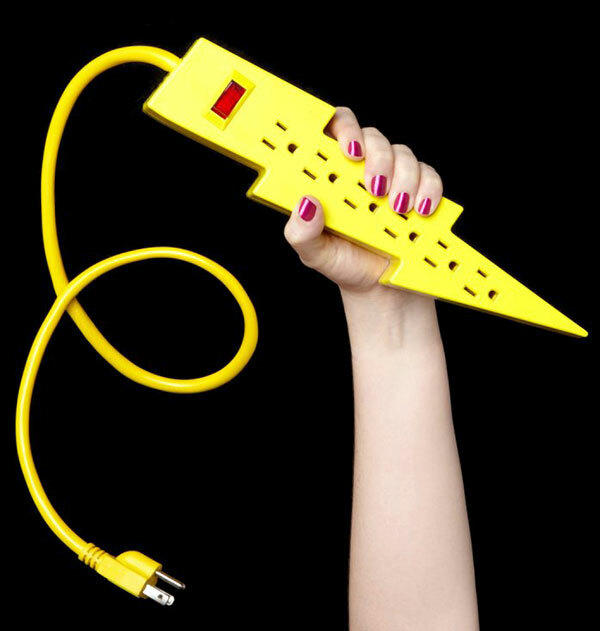 All you need to do is to plug it into your computer’s USB drive, attach your gadgets, and charge it. Isn’t exciting? 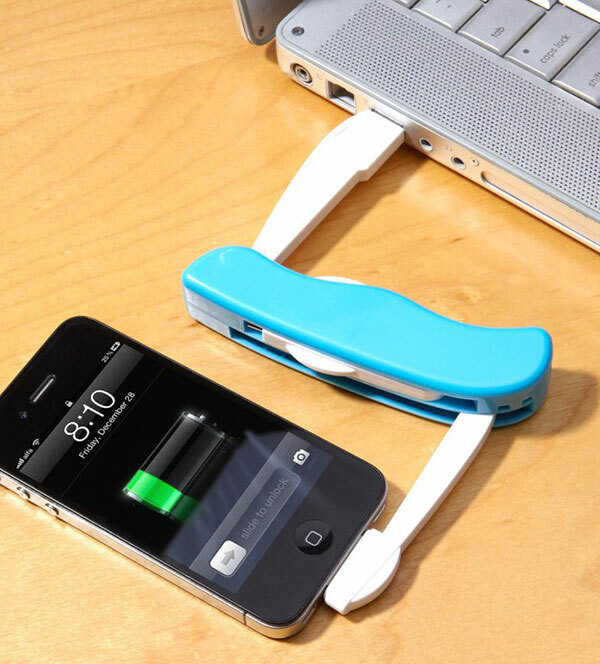 This knife charger works for most of the devices and phones? It works for iPhone and HTC cell phones too. 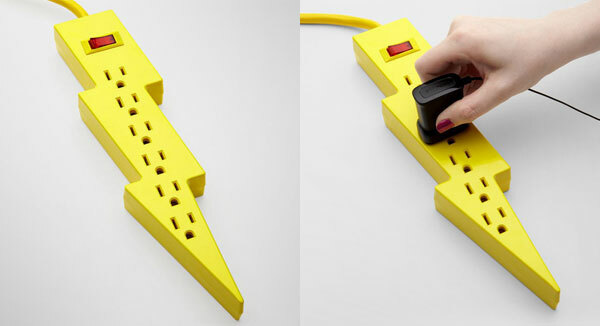 Lightning Bolt Power Strip helps you to charge your electronics and power up your gadgets. Now get rid of the old plugs that give an awkward look and look ugly most of the time. 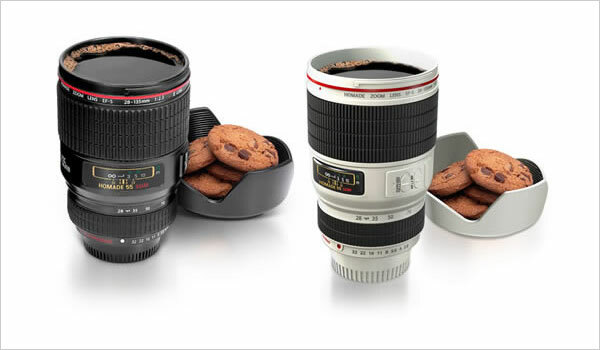 Go with this innovative and unique designed piece you’ll be proud to show off. Pixel Frame Sunglasses is another geek gift for you. 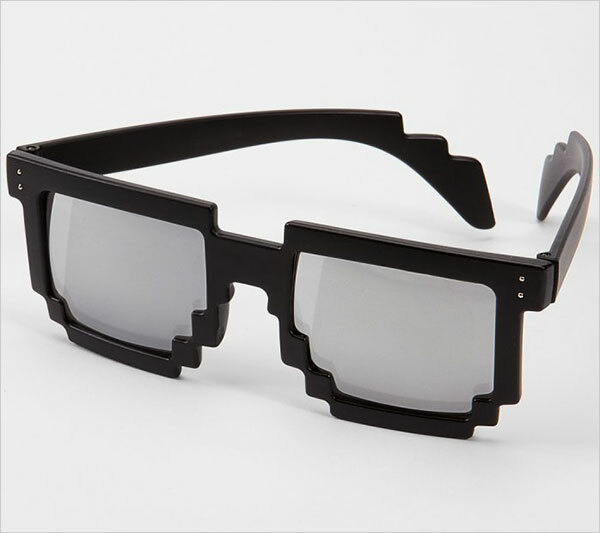 This Black plastic sunglasses frame is 8-bit style with reflective gray lenses, it is UV 400 protection & specifically inspired by pixels. It would be a pleasure for the nerd people who are fashion freaks and trend setters.